Heather is one of our dental hygienists. She is a graduate of Kalamazoo Valley Community College. 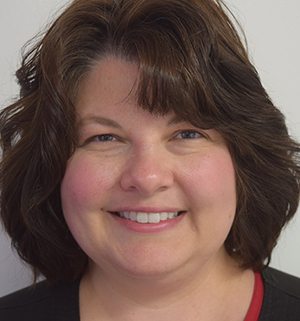 Since 1991, she has enjoyed being a part of our dental team and providing exceptional care to our patients. Whether you are a child or an adult, her kindness and compassion quickly ease any feelings of anxiety you may have. She specializes in non-surgical periodontal treatment. Over the years, she has taken numerous courses in all aspects of dentistry. She is licensed to administer Nitrous Oxide and certified in CPR. Outside the office Heather enjoys spending time with her husband and two daughters. Her hobbies include gardening, floral design and Arts and Crafts. 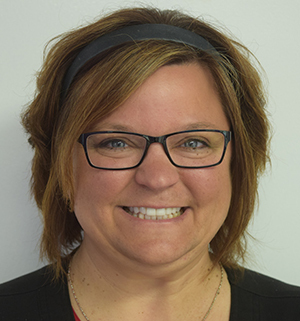 Rhonda is one of our dental hygienists and soft tissue specialists. Since her graduation from KVCC she has taken many classes on the most current technologies in gum health. She is also certified in nitrous oxide administration and CPR. For the last 20+ years she has used her superior skills in our office to help you maintain healthy gums and strong bone structure. This will help you keep your teeth for a lifetime and keep your smile beautiful! Her warm smile and kind words will make you feel like family. Rhonda has been married for many years and also has 4 boys. In her spare time she enjoys family camping, cooking and relaxing. Meagan is a Registered Dental Hygienist. She graduated from Kalamazoo Valley Community College dental hygiene program. She was born and raised in Decatur and currently still resides there. 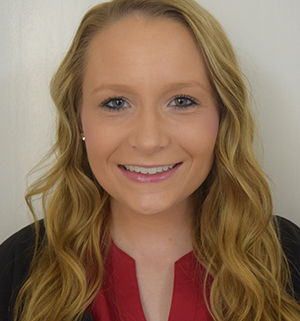 Meagan loves to educate her patients to help them achieve optimum oral health. It is her goal to make sure her patients have a positive and comfortable experience in the dental chair. Meagan is also licensed in Local Anesthesia and Nitrous Oxide Sedation. Outside of the office, Meagan likes to spend time with her boyfriend and their two dogs Hemi and Cash. Katelyn is one of our Dental Assistants. 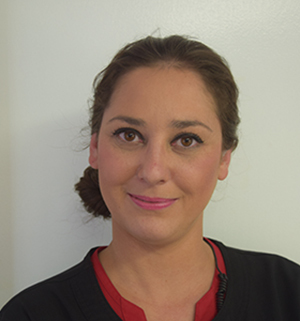 She is certified in x-rays and CPR and loves to learn new things in the Dental field, which include attending dental seminars to be up to date with the new technology in the dental field. Katelyn graduated from Everest Institute in June of 2014. She likes to help make patients comfortable and make sure the patients understand their dental treatments. 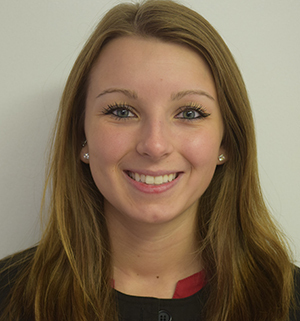 Katelyn resides in her hometown of Dowagiac where she loves to spend time with her dog Raygin, family and friends. Lauren is our Patient Coordinator. She is here to ensure that your visit with us is as smooth as possible. She is a friendly expert that can answer all of your questions about billing, insurance, and any appointment needs. She also can help you in making financial arrangements that fit your budget and schedule. Outside of the office Lauren enjoys spending time with her fiancé and family, as well as hunting and reading. Stephanie is our financial coordinator. She is available to answer your questions regarding your dental benefits, as well as helping you arrange convenient financing options to fit your budget and schedule. Stephanie is compassionate as she works with our patients through their treatment concerns and creating financial plans. Outside of the office Stephanie enjoys spending time with her husband and 2 children, as well as camping, traveling and charity walks. Casey is one of our Dental Assistants. She is certified in x-rays as well as successfully completing the CPR and AED course through the American Heart Association Basic Life Support Program. Casey has a very kind heart and strives to make sure that patients feel welcome and comfortable as well as working hard at staying productive and positive with her fantastic team to ensure the best for patients care and concerns. Outside of the office Casey has a fiancé of 4 years and is happily enjoying life with him for 13 years now and also enjoys raising her 2 and half year old son named Antonio. She has 5 pets, 3 dogs named Otis, Bandit and Leo and 2 cats named Cuddles and Meow Meow. A few things Casey enjoys in life are definitely spending time with family as much as possible while also enjoying movie nights throughout the week and outdoor activities like parks, fairs, beaches and holidays.